Held on two nights, June 29-30, this year’s festival welcomed over 16,000 music lovers to the park to see eight world-renowned DJs, longer park hours, night shows, rides and more. On Friday, June 29, four DJs took the stage in Walt Disney Studios Park to spin classic and contemporary hits for fans. 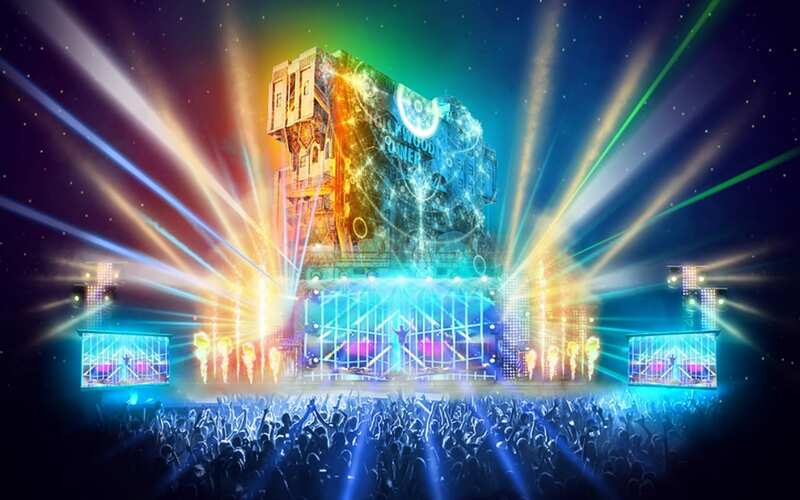 Belgium’s Henri PFR, the French DJ Klingande, and Bob Sinclar helped the crowds dance the night away with their tunes, while special effects were projected on the Hollywood Tower Hotel. The evening came to a close with German DJ Robin Schulz, and a surprise visit from Star-Lord and Gamora of Marvel’s Guardians of the Galaxy. For the first time, Electroland continued on for a second night, kicking off with the British saxophonist Lovely Laura and her DJ husband, Ben Santiago. Switzerland’s Mosimann, Holland’s Afrojack and DJ duo Dimitri Vegas and Like Mike closed out the night with their electric sets. Fans of the Avengers were again treated to a special appearance at night’s end, this time from Thor and his brother, Loki. To learn more about Electroland, and to plan for next year’s event, visit DisneylandParis.com.